Robots are designed to be faster than humans. We build them, in part, to make our lives easier and improve efficiency in industries from manufacturing to health care. But new research led by Cornell University and soon to appear in the Proceedings of the 14th ACM/IEEE International Conference on Human-Robot Interaction shows that morale suffers when humans work next to hyper-efficient machines. The team of behavioral economists and roboticists set out to explore how humans behaved and reacted when competing against robots. In the study, human participants were pitted against a robot in a contest to count the number of times the letter G appeared in a string of characters and then place a block in a bin each time it occurred. It’s not exactly a task worthy of the factory floor, but it required visual acuity, recognition, and motor skills. The humans were kept aware of this percentage as a nearby screen constantly displayed the chances of winning at each turn. Cash prizes were involved in the competition as well, adding another layer of intrigue. But despite the potential reward, humans tended to not only find themselves less competent but also expend less effort on tasks when the robots were outperforming them. Unsurprisingly, they liked the robots less in this case as well. The new study backs up decades of research by behavioral economists on loss aversion which suggested that people don’t try as hard at tasks when it’s obvious that their competitors are outperforming them. So while robots might be able to perform tasks more efficiently in the workplace, if humans are going to be working side-by-side with them in the future, managers will need to be mindful of how their human employees are affected by robot co-workers. 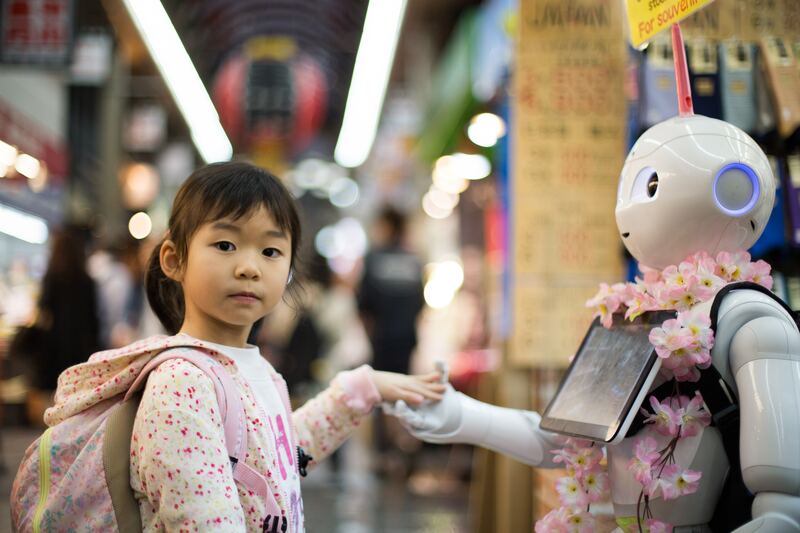 If robots are seen as more competent and less likable – and if these attitudes lead to a dip in morale – there’s at least some chance that overall productivity will suffer.